Fear Research Papers evaluate the different conditions associated with this, and also treatment programs. Research papers on fear can focus on any aspect of the psychologically frightening emotion. Subtopics of fear may include disgust, distress or even the startle reflex. Have the writers at Paper Masters help you master fear. 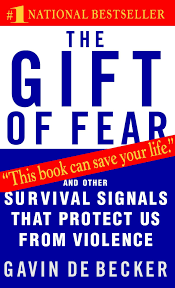 Fear has long been associated with the process of classical conditioning. Phobias, not only can be created through this conditioning procedure, but can also be treated through the same principles. In addition to the clinical abnormality of phobias, fear can also be associated with the condition known as Post-traumatic Stress Disorder. Many principles of conditioning may be applied to both conditions, not only in understanding their etiology, but also with the creation of treatment programs. Recently, there have been many events of historical importance that have occurred within the United States that most likely will generate phobias and PTS disorders. These events include the World Trade Center attacks, the current biological attack consisting of the exposure to Anthrax, possible future attacks on American soil, etc. The unfortunate uniqueness of these events creates a necessity in studying the relationship among them and the possible conditions of fear and PTS. The purpose of a research paper on fear is to explore how these occurrences may generate abnormal conditions through learning principles while also exploring possible treatment plans on an individual and group scale. The necessity of action by the federal government in alleviating fears and possible PTS with the use of general conditioning procedures will also be discussed. At about the age of six months, the infant displays physical reactions that appear to be the emotion referred to as fear. Typically, for the individual at this age, this emotion is evoked when involved with strangers. While this suggests that fear is an emotion that has a cognitive component, the actual emotion of fear might include a number of features, including the innate reactions of distress and the startle reflex. In other words, fear is a physical reaction that is associated with certain conditions or situations. The association between the physical reaction or response of fear is learned through the mechanism of classical conditioning. Because of the many cognitive components this relationship may contain, the development of fearful responses can be complicated and difficult especially with regard to its treatment or extinction. Thus, various types of abnormal behavior may be generated through classical conditioning that require a variety of interventions to extinguish that particular response. This is especially true when the element that has generated the fear is widespread and impacts a large number of people. Emotions in Social Relationships - Emotions in social relationships research papers cover social goals and social emotions. Emotion Work - Emotion work research papers explains the act of trying to change emotions in degrees or quality. Anger Management - Anger management is not about emotion suppression rather it is learning how to appropriately express a normal human emotion without escalating a situation. Symbolic Interaction on the Sociological Understanding of Emotion - Symbolic Interaction research papers examine the sociological understanding of emotion. Emotional Development - The period of emotional development ranges from birth through late adolescence. James-Lange Theory - James-Lange Theory research papers examine the theory that holds emotion as a secondary response, indirectly caused by a physiological reaction. Schachter's Two Factor Theory of Emotion - Schachter's Two Factor Theory of Emotion Research Papers examine an integral part of human behavior, and how it applies in clinical practices. Cannon-Bard Theory of Emotion research papers discuss the theory that maintains that emotions are the result of a physiological response to a stimulus. 12 Angry Men and the Primal Emotion of Anger - Anger, one of humanity's primal emotions, has many different forms. Feeling rules research papers analyze the emotion norms and beliefs. Grieving Process - Moving to anger, it is realized that reality cannot be denied, but negative emotions arise. Models of Abnormal Behavior - Finally, the psychodynamic model is based on the theory that abnormal behaviors occur because of repressed emotions or unmet human needs. Rational Emotive Behavior Therapy - This is a topic suggestion on Rational Emotive Behavior Therapy from Paper Masters. Anger Management for Children - Research Papers delve into the causes of anger in children, and how to help them through managing their anger. Paper Masters writes custom research papers on Fear and evaluate the different conditions associated with this, and also treatment programs.